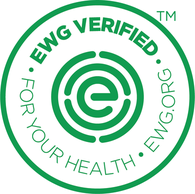 Look for the EWG badge next to select products. 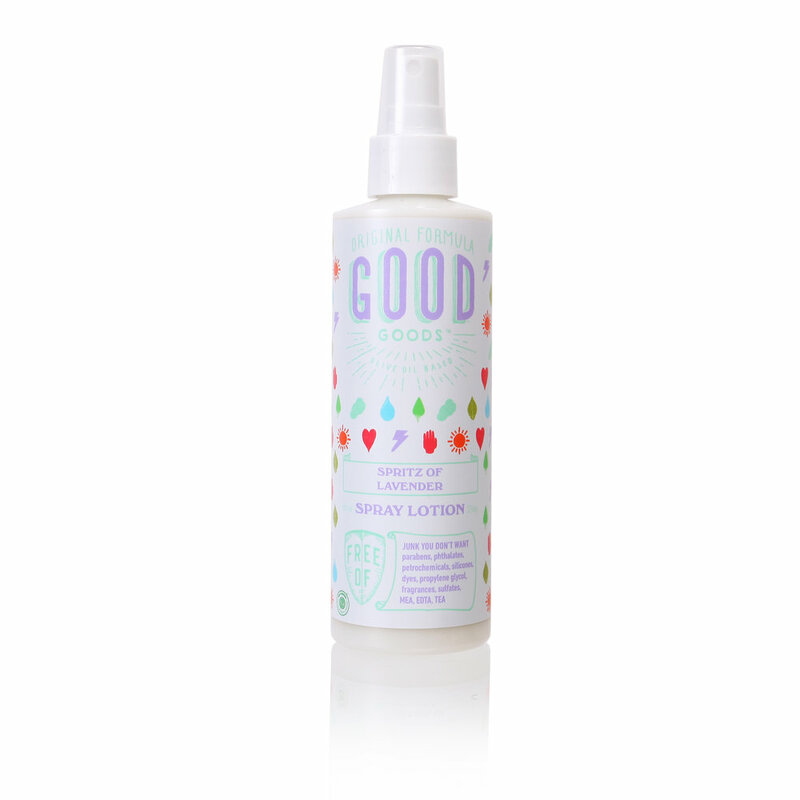 So what makes Good Goods products so good? Let’s start from the inside out. 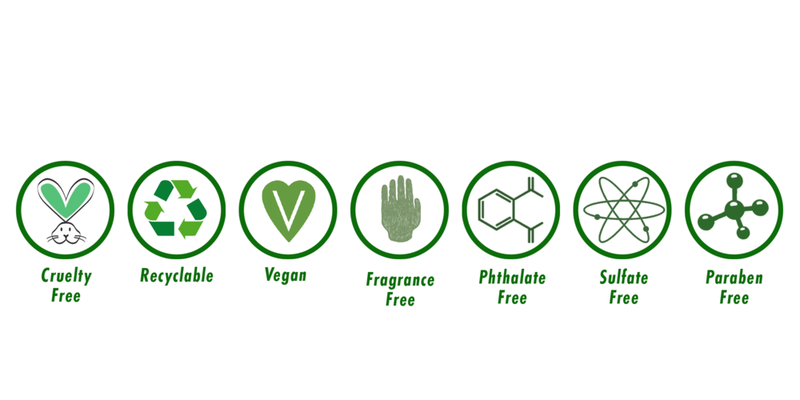 First, we use only natural ingredients, and the majority of them are organic. So far so good, right? Second, we never use harsh fragrances. All our scents come from essential oils. Another good thing. Third, almost all our products have olive oil. Why’s that good? It easily soaks into your skin without making you feel greasy, packed with a plethora of beneficial antioxidants, and generally leaves skin feeling soothed, soft, and super happy. As for the outside? All our bottles are BPA FREE. See. All good. But don’t take our word for it. Check out our products for yourself. We have nothing to hide. Just spritz with our easy to use spray pump and in no time you’ll be basking in our calming blend of lavender, olive oil, and aloe vera. But the pump isn’t the only thing that makes this perfect for the kiddos. It’s also great for moisturization on-the-go. This light, very mild mist moisturizer rubs in easy. So all you have to do is give the pump a push, rub in the lotion, and repeat whenever your skin needs to be naturally soothed and hydrated. It’s what we in the business like to call a skin win. You know how you get tingly all over when something good happens? That’s how your lips will feel after using this lip balm. So pucker up to ingredients like peppermint essential oil, sweet almond oil, and peach kernel oil. They’ll keep your lips moisturized naturally. And that’s something to surely smile about. Carthamus Tinctorius (Safflower) Oil, Simmondsia Chinensis (Jojoba) Oil, Prunus Persica (Organic Peach) Kernel Oil, Euphorbia Cerifera (Candelilla) Wax, Butyrospermum Parkii (Raw Unrefined-Shea Butter), Rosmarinus Officinalis (Rosemary) Oil, Mentha Piperita (Peppermint) Oil, Citrus Grandis (Grapefruit) Oil, Tocopherol (Vitamin E). 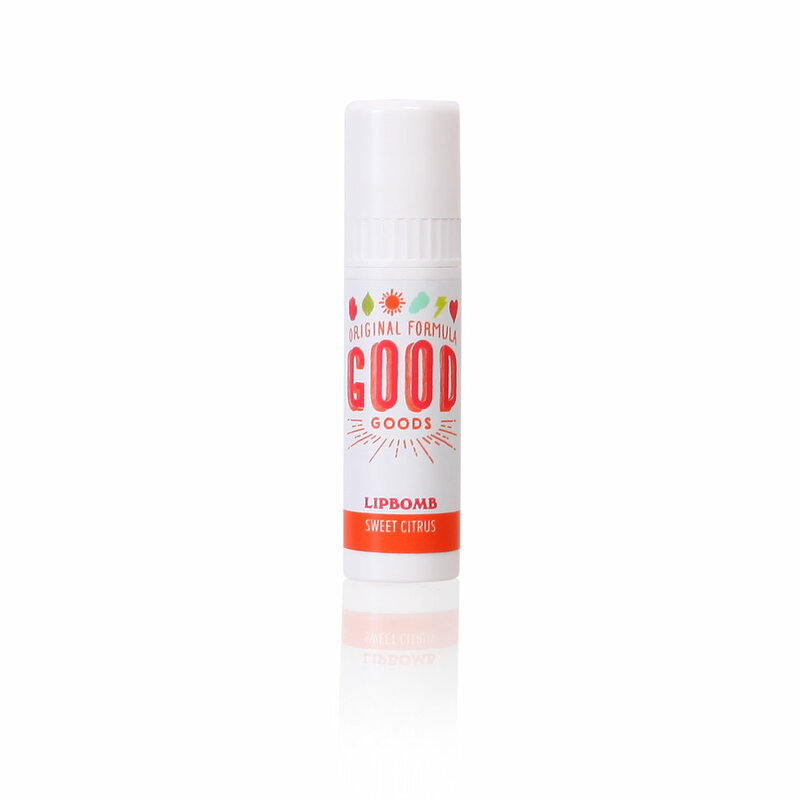 Looking for a balm that actually is “the bomb”? Stop your search because you’ve found it! This tube packs quite the natural punch to your pucker-er. Ingredients like peach kernel oil and raw shea butter moisturize skin. While, tangerine and wild orange essential oils deliver a citrusy explosion every time you put it on. Carthamus Tinctorius (Safflower) Oil, Simmondsia Chinensis (Jojoba) Oil, Prunus Persica (Organic Peach) Kernel Oil, Euphorbia Cerifera (Candelilla) Wax, Butyrospermum Parkii (Raw Unrefined-Shea Butter), Citrus Reticulata (Tangerine) Oil, Citrus Grandis (Grapefruit) Oil, Citrus Sinensis (Orange) Oil, Tocopherol (Vitamin E). 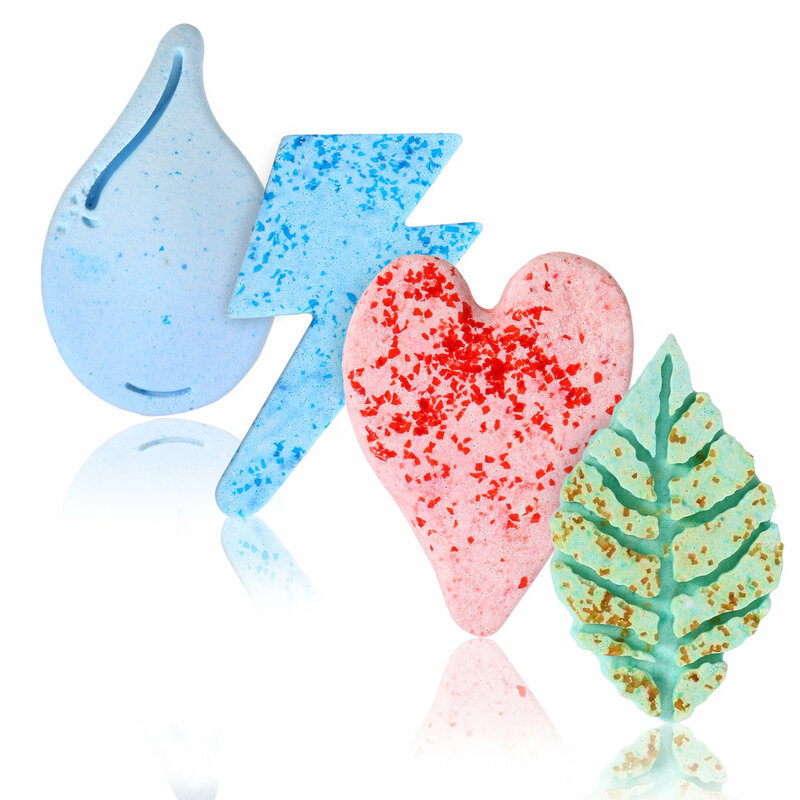 Lightning, hearts, water drops or a leaf? A bath bomb mystery awaits inside. What these bath bombs are made with, however, is no mystery! They’re jam packed with natural ingredients like baking soda to regulate your pH levels and gently soothe your skin. Plop it in your tub and get ready to soak in the fizziness that's fun for the whole family. Bath Bombs packaged in Eco-Friendly materials. Made from plants and compostable. Feel like it’s your birthday every day with our creamy dreamy blend of essential oils that make our bath wash smell like cake! To activate the magical powers of our unique, non-irritating olive oil formula, just give the bottle a light shake before use. You may notice the lack of lather. No worries, it’s because it’s all natural! The good ingredients inside like coconut oil and jojoba oil are doing their job to gently soothe, cleanse and nourish you from head to pinky toe. Purified Water, Coconut Oil*, Sunflower Seed Oil *, Castor Seed Oil*, Olive Oil*, Kosher Vegetable, Glycerin, Jojoba Oil, Guar Gum, Vanilla Absolute, Clementine EO**, Wild Orange EO**, Citric Acid, Rosemary Seed Extract.